An ambitious African-American family, a foundation of faith, and a tenacious pursuit of professional success…this is one couple’s fascinating journey through corporate America. 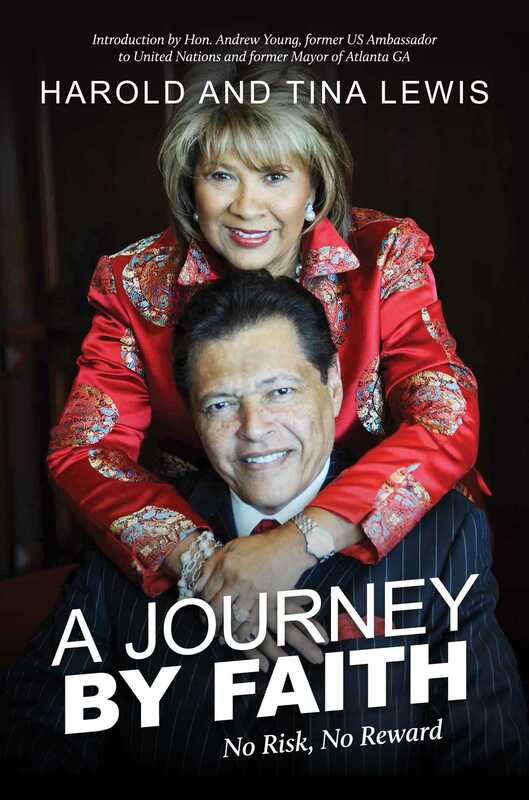 “Harold and Tina’s book, aptly titled A Journey of Faith, revisits the essence of trust in a modern context. This includes everything from corporate politics to raising children to facing dire health challenges. From the beginning, everything Tina and Harold undertake is for creating a legacy for their children—as they themselves were given a legacy from their own parents of integrity, hard work, and unwavering faith. "Most people never live their dreams as entrepreneurs because they give up. Afraid of the risk. By reading Tina and Harold Lewis' book A Journey by Faith, those who are searching for what makes a successful business can discover the two most vital things: God and Family." "Everyone loves a love story. Here it is. A perfect love between Tina and Harold and their super successful entrepreneurial achievements, against all odds. It's beautiful, heart-touching, and profoundly inspiring. I predict you will like it."